Silicon wafer with photonics biosensorchips. Imec and Genalyte announce that they have successfully developed and produced a set of disposable silicon photonics biosensor chips to be used in Genalyte diagnostic and molecular detection equipment. The chips combine imecs standard silicon photonic waveguide devices with bio-compatible modifications jointly developed by imec and Genalyte. These chips allow for high levels of multiplexed biosensing due to the high integration level of Si photonics. The newly developed Si-photonics biosensor chips were realized at imec, as part of imecs silicon photonics CMORE service. A bio-compatible passivation technology was developed on 200mm waferscale, the chips were tested in the field, and proven to meet Genalytes functional requirements with high yields. The chips contain up to 128 proprietary ring resonator sensors coated by Genalyte with application-specific chemistry to create very sensitive molecular detection capability. On-chip grating couplers are used to couple the infrared light from and to Genalytes diagnostic equipment. The successful realization of these chips again confirms that imecs CMORE service is delivering customer chip solutions to its partners. Imecs silicon photonics platform allows miniaturization of complex photonic functions on a single chip and a dense integration of photonics and electronics. The ability to use standard microelectronic CMOS manufacturing facilities and processes to realize optical functions makes silicon photonics commercially very attractive because of the potential to lower manufacturing costs and increased volume production. The high quality and reproducibility of the photonic waveguides and devices with features measuring 100-500nm requiring nm-scale accuracy are the keys to high yield. Via its CMORE initiative, imec offers companies all the services needed to turn innovative ideas into smart packaged microsystem products. The CMORE toolbox contains a wide variety of device technologies on 200mm (e.g. CMOS, Si-photonics, MEMS, image sensors, packaging ...) as well as design, testing and reliability. Imecs services range from feasibility studies over design and technology development to prototyping and low-volume manufacturing. And through its alliances, imec can also offer a path to transfer the technology to a foundry for volume production. 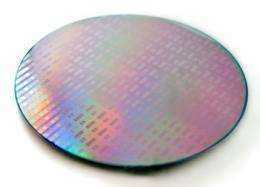 Imec also offers Multi-Project Wafers access to its Silicon Photonics technology under ePIXfab (www.epixfab.eu), through which Genalyte first made a proof-of-concept.